An Italian ferry with a marine LNG fuel-gas supply system has entered service. MAN Cryo – MAN Energy Solutions’ marine LNG fuel-gas-system manufacturer – installed the system aboard the Elio at the Sefine Shipyard in Yalova, Turkey. Elio is a double-ended RoPax ferry, designed by LMG Marin, for Italian shipowner, Caronte & Tourist. 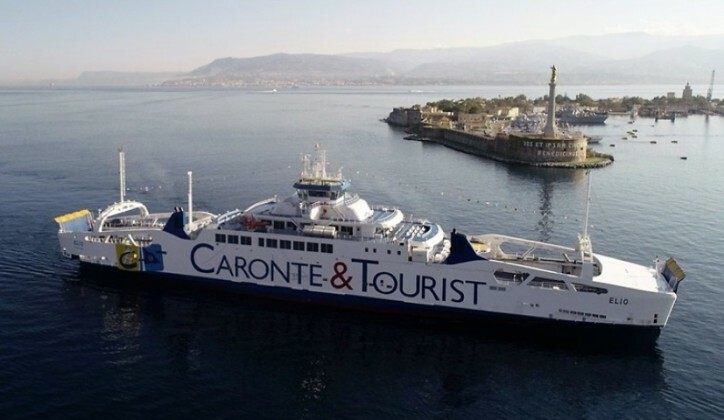 The MAN Cryo system will supply gas to the ferry´s three dual-fuel propulsion engines and which will primarily operate on the strait of Messina between the Italian mainland and the Sicilian city of Messina. MAN Energy Solutions took over fuel-gas specialist Cryo AB in 2015 and fully integrated it into its business. Under the brand MAN Cryo, the company offers systems for the storage, distribution and handling of liquefied gases.